INDIANAPOLIS (July 16, 2018) – The highly-anticipated sidewalk that connects Ironworks Hotel Indy and Ironworks at Keystone to the Keystone Crossing area is now open for public use. The sidewalk, which stretches 1,140 feet, begins at the Ironworks developments and runs along the south side of 86th Streetto the Fidelity Investments building located at 8480 Keystone Crossing. Pedestrian crossing signals make the sidewalk safe for passersby. 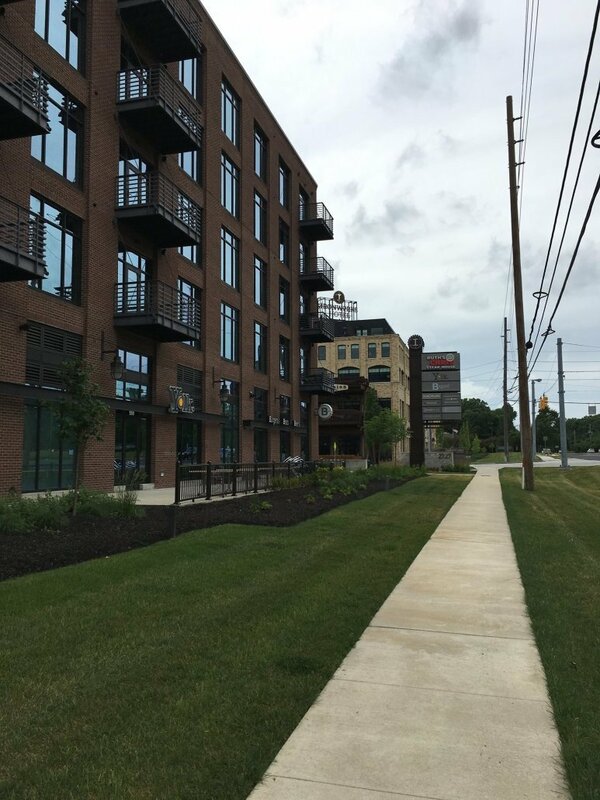 Hendricks Commercial Properties, the Wisconsin-based developer of Ironworks Hotel Indy and Ironworks at Keystone, worked with the city to install the sidewalk and make the 86th Street region more walkable. Hendricks Commercial Properties owns more than 9 million square feet of real estate in 30 statesacross the U.S., including 13 buildings in Indiana. Notably, Hendricks Commercial Properties is recognized for its award-winning luxury apartments, Ironworks at Keystone, and Indy’s only independent boutique hotel, Ironworks Hotel. Hendricks Commercial Properties is also spearheading the Bottleworks District project, a transformational $260 million mixed-use redevelopment project of the former Coca-Cola bottling plant on Massachusetts Avenue. To learn more about Hendricks Commercial Properties, visitwww.hendricksgroup.net. To learn more about Ironworks Hotel Indy, visit www.ironworkshotelindy.comor follow on Twitter, Facebook, Instagramand LinkedIn. To learn more about Ironworks at Keystone, visit www.ironworksindy.comor follow on Twitter and Facebook. Ironworks Hotel Indy is Indianapolis’ first and only north side boutique hotel. The five-story original brick industrial building inspired by 19th century architecture features 120 guest rooms in addition to retail space, and provides a comfortable, eclectic first-class experience for both local guests and travelers. Ironworks at Keystone is a distinct 5-story mixed use development on the corner of Keystone Avenue and 86thStreet. Inspired by a time when we built things to last, Ironworks at Keystone features nearly 36,000 square feet of fine dining and shopping on the 1stfloor, 120 modern residential apartments for rent on the upper floors. Live, work and play in perfect balance at a place made with strength and stability. For the past 43 years, Hendricks Commercial Properties, headquartered in Beloit, Wis., has been investing in commercial real estate throughout the country. Diane Hendricks, Chairman of the Board, started the company in 1974 with a core focus in multi-family and industrial real estate. Today, the company is a diversified real estate investment, development and management company comprised of more than 9 million square feet with over 800 tenants located in 30 states. The company and its ongoing strategy remains committed to continually growing a highly diversified Class A portfolio with its core asset focus being industrial, retail and urban mixed-use commercial real estate.